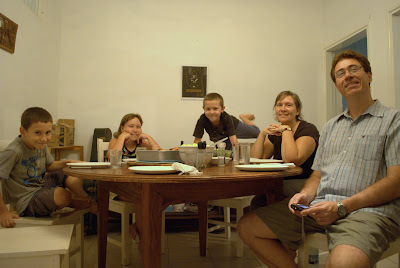 Last night I was invited to an early Thanksgiving dinner with the Bister family (Mikael, Jeni, Katie, Jacob, and John). They are some of my favorite people in Tete. Mikael and Jeni work with Wycliffe. Wycliffe is an organization that translates the Bible into all the living languages left in the world today. In Tete, they are in the process of getting a Nhungue translation. I think it is pertinent to note that Jeni grew up a Mennonite and cooks like one, too.